Ye Olde Drying Rack . Not so fast. So you think you know how to save money and time when drying your clothes? Sure, you just pop them in the dryer and push the button. Not so fast. If you’re rethinking your energy usage and looking for ways to save time and money, this post will give you more insights than you ever imagined when it comes to the topic of saving money when drying your clothes. I’ve never seen so much detail given to this subject before. In fact, I hadn’t thought there could be this much detail on the topic of clothes drying. It’s worth a read, you might end up saving a few dollars, some time, and some energy. Can you dry your socks on a drying rack by dumping them on the rack? Is it more work to dry clothes in a dryer than to dry them on hangars? What kind of hangars should you use to dry your clothes? Is it better to dry your clothes indoors or out? Is it okay to “freeze-dry” your clothes? So get out that drying rack you have in the back of your closet and put it to good use. Do you have any other money or time savings tips for clothes drying? Feel free to pass them along. 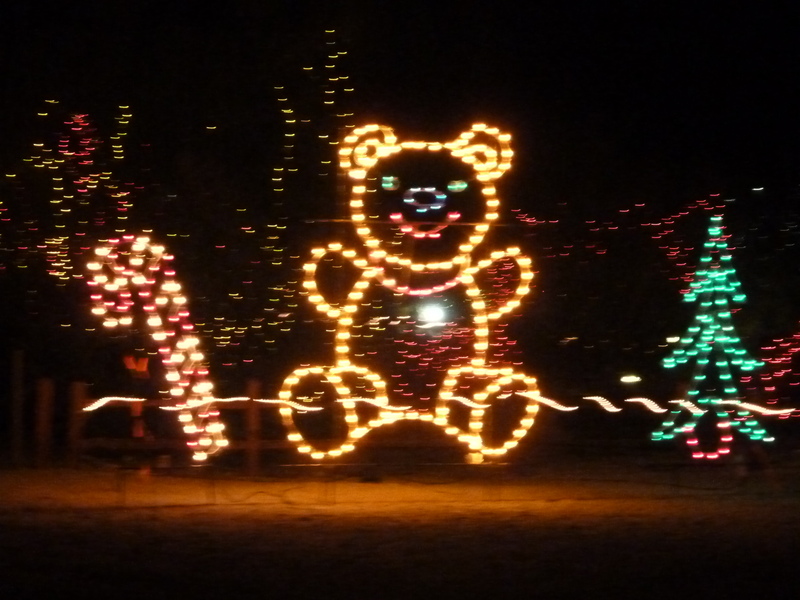 Attention all you Seattle eastsiders: Have a Very Merry “Green” Holiday! Give a tote bag or sign someone up for weekly home deliveries of local produce. Full Circle Farms has terrific produce available. Can you re-use a potato chip bag to wrap presents? Check this video out to find some interesting sources for wrapping presents. Is it better to have a natural or artificial tree? Which is better for the environment? And for last minute decorating tips. And if all else fails for inspiration, The Examiner has a compilation of holiday “green” sites. What costs you the most money to maintain your home? I bet your heating bills are at or near the top of the list. Here are 5 easy ways you can help your heating system to be more efficient and help to save you money. Change your furnace filter regularly– I know few people seem to change their filters regularly. Trust me, I ask this question when I meet home owners. 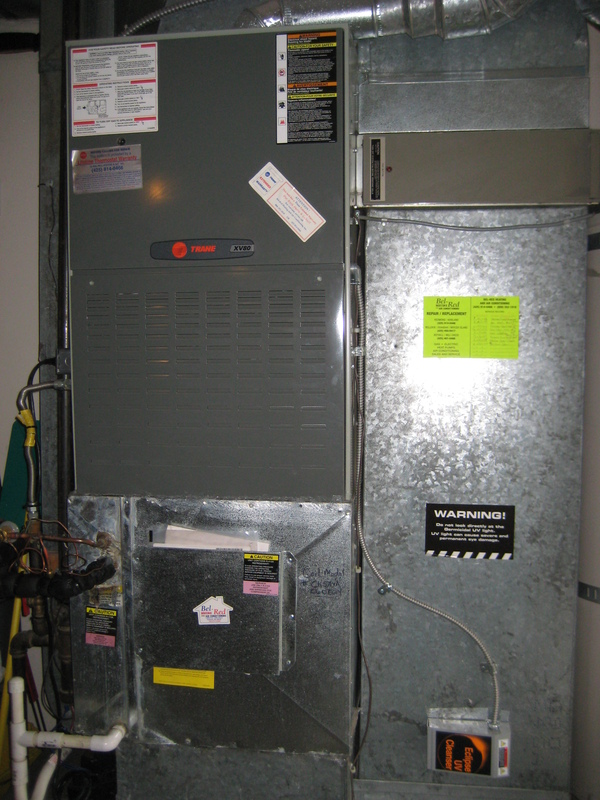 Your furnace technician can install a device which “beeps” when you need to change filters. Get your furnace serviced annually- Most people ‘fess up and say they don’t service the furnace on a regular basis. Sign a contract with an HVAC company and they’ll call you each year and make sure it’s done. The furnace technician can check the furnace and confirm it’s not leaking any carbon monoxide. The added bonus here is you won’t die from carbon monoxide poisoning. Make sure your doors have good, tight weather stripping- get down on the floor and see if you see light under the weather stripping. If you do, then it’s not tight and replace the weather stripping. 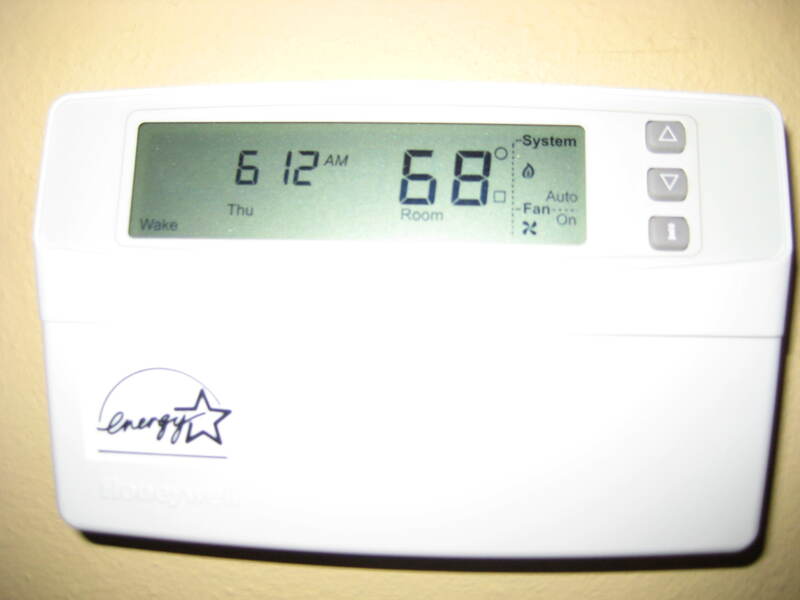 Install programmable thermostats- you can regulate your heat and set it to be lower during the days you’re not at home or at night. This could save you some significant money. Look at your heating bills for a full year to determine if you are using energy less efficiently than the average home for your area. If you find you’re using more energy than the average home, check my next post about energy savings. Coming soon is a post with more information about ways to save some money on your heating and energy bills. He’s gone. They carted him away today after our very long relationship, a longer one than I’ve had with my husband. He’s always been a little chilly, in fact, downright cold. But he was faithful, always ready, and never needed any fixing. He moved with me from an apartment to two homes, from the east to the west coast, never complaining. We went through many a family dinner, holiday extravaganza and party over the years. He’d always been responsible for the food. He showed evidence of aging over the years, just like we all do. There were the spills that occasionally needed to be cleaned off him. Some bumps and scratches were noticed here and there, but overall, he was a healthy specimen. It’s been hard to let go of him because he’s been working so loyally all these years. Deep down, I’ve known it’s time to let him go. How many times do we put off making changes in our lives? How many times do we say we’ll deal with it tomorrow or think something is not a big deal? I knew our relationship was costing me money. I made the phone call to end our relationship. They came to get him on Friday afternoon. He was ready and waiting for them to take him away. After so many years, it was over in a matter of minutes. Out the door and up the driveway he went. On Tuesday, I signed up online to have Puget Sound Energy come pick him, my refrigerator, up. 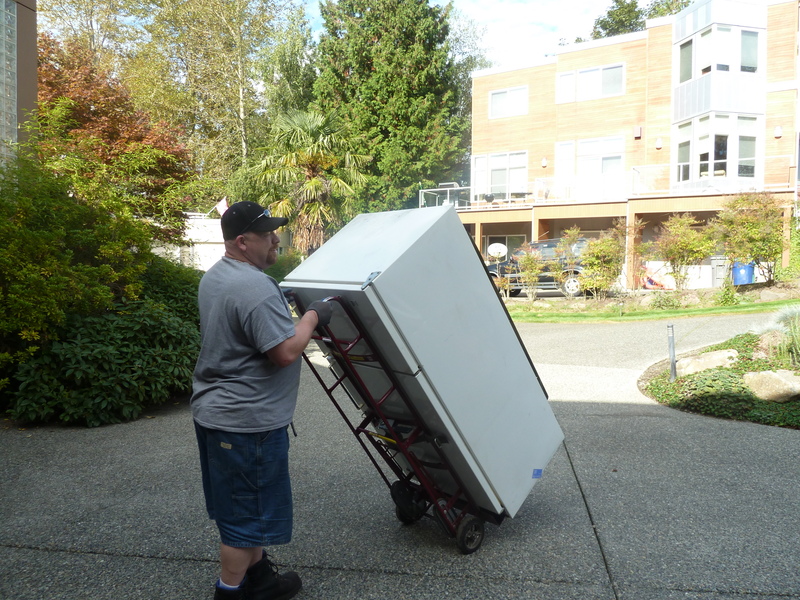 If you’re a Puget Sound Energy customer, they’ll remove your refrigerator and pay you $30 (as long as the money lasts and your refrigerator is in working order). The two men who came to pick the refrigerator up, said 85-90% of the refrigerator will be recycled and not end up in a landfill. So he’ll be reused, not dumped. Old fridges and freezers use up to four times the energy of newer models. That’s four times the electricity costs and four times the negative environmental impact. PSE has picked up 15,000 refrigerators and freezers. PSE customers will save over 18 million kilowatt hours of electricity. Save over $1.6 million pounds of CO2 emissions. The same as taking 1400 vehicles off the road. Want more information about using energy wisely? The PSE website has a lot of great tips. I took a great class this week to learn more about sustainable living, “green” living as you will, so I’ll write about what I’ve learned. I’ll also write about what I’m doing to make some important changes in the way I live. My goal is to reduce my carbon footprint and save some money, too! A hat tip to Marlow Harris for posting a link to the PSE energy program on Facebook. By the way, check the site to find out all the details and any restrictions. What are you doing to reduce your carbon footprint? I have a big, fat carbon footprint! I’m surprised and I’m not happy. I took a survey to determine my carbon footprint and found out that it takes over 30 acres to support my lifestyle. If everyone lived the way I did, it would take multiple planets to support all the people on earth! Very humiliating and disappointing. I recycle as much as I can. I recycle a lot, in fact. My recycle bin is overflowing every week and my trash barrel holds just a small bag. I don’t eat much meat. I prefer fish and chicken. I don’t drive a lot, except for work. (Driving is a hazard of my profession.) I have many reusable bags. I rarely use paper bags. I unplug electrical appliances. I use CFL’s. I turn my lights out regularly. So where have I gone wrong? Why wasn’t my carbon footprint score better? I have a few theories for things I can do better, but I plan to learn and do more. Over the next few days, I’ll be attending a class put on by the Earth Advantage Institute from Portland, Oregon. The class is Sustainable Training for Accredited Real Estate Professionals, S.T.A.R. The group got off to a good start by sending out a list of all the class attendees hoping we would hook up to car pool. Wouldn’t it be great if people and organizations did that for all their meetings, classes, etc.? Such a simple idea, but one most of us don’t take time to consider. I’ll share what I learn, because if I have a poor carbon footprint score, I imagine a lot of us do. Stay tuned! By the way, take the survey and see how you do. You may be surprised. It’s funny, last night I was just talking with a neighbor about Bill Gates and how he and Melinda had the power to change the world, making it a better place for all. Previously, The Gates Foundation has focused mostly on health and education. Now Mr. Gates is taking on climate change. Gates spoke about his commitment to using his massive philanthropic resources (the Gates Foundation is the world’s largest) to make life better for people through public health and poverty alleviation (“vaccines and seeds” as he put it). Then he said something he’s never said before: that is it because he’s committed to improving life for the world’s vulnerable people that he now believes that climate change is the most important challenge on the planet. According to Gates, P is for people, S is for the services needed by the people, energy (E) is what it takes to provide these services, and C is for the CO2, the amount of carbon emitted from the production of the energy to provide these services to the population. What’s more, protecting and healing the biosphere is essential to meeting the climate crisis itself. Logging our forests, over-burdening our oceans, converting land for agriculture and grazing, all these are huge contributors to our climate problem, and restoring the capacities of natural systems to absorb carbon dioxide is a critical part of the solution. This post is an important one. I like the “global” perspective of the issue. Mr. Steffen believes we need to rethink “our relationship to stuff” and plan more effectively with interactive systems or networks, such as designing zero-impact cities. Cities are the tools we need for reinventing prosperity. We can build zero-impact cities, and we need to. Any answer to the problem of climate change needs to be as focused on reinventing the future as powering it. After reading through the post, I skimmed the comment section. Some don’t think zero emissions is possible. Many people will find this all to daunting of a proposition, but it’s a goal worth working towards. Even if it’s not fully achieved, working in the direct of zero emissions is the direction we should be heading towards. What do you think about zero emissions? I realize this is a very complex issue and I’m only skimming the surface here, but is talk about it realistic? Is it a goal we should strive for in our daily lives? This morning I read a post on Gates’ talk which comments some of the flaws with Gates’ plan. The plan may have flaws in its implementation, which others are better equipped to address, but from my vantage point, Gates can play a huge role in raising the awareness for climate change. Perhaps the climate experts should sit down and hash out a plan with Mr. Gates. Having the voice of Bill Gates on your side is huge.